Every foodie’s must-visit restaurant. Amazing Mediterranean food inspired by creative local influences combined with the essence of Irish hospitality. 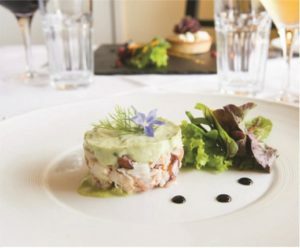 A deserving recipient of many awards including; McKenna’s Guide 100 Best Restaurants in Ireland 2019, Georgina Campbell’s Best of the Best 2018 and included in The Michelin Guide 2019. After one visit to The Courthouse, you will have found your favourite restaurant!